Hide deals from seller "Papa Saverio's Pizzeria"
Limit 1 per person; may purchase 2 additional as gifts. Valid on an 18-inch thin-crust pizza with 2 toppings, a 2-liter of soda and 6 Buffalo wings. Pickup only. Must call to place order and mention voucher. Promotional value expires 30 days after purchase. 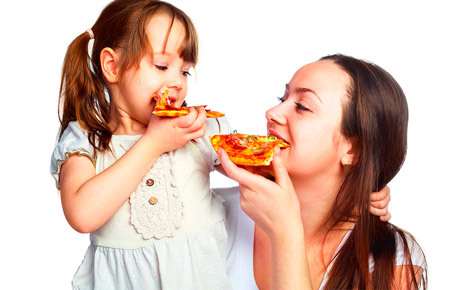 Treat Mom to a truely relaxing meal when you use this deal for 51% off an 18-inch thin-crust pizza with two toppings from Papa Saverio's Pizzeria in Aurora ($31 value). With this delicious pizza, you'll get six Buffalo wings and a 2-liter bottle of soda to top it off. Papa Saverio’s Pizzeria has a fully loaded menu with everything from chicken wings and pasta to sandwiches and dessert. Their claim to fame is delicious pizza, and they serve it up in thin-crust, double-dough, deep-dish and stuffed varieties. With multiple locations across the country, Papa Saverio's has established itself as one of the go-to pizzerias for cheesy Italian cuisine. Give Mom a palate-pleasing present with this pizza deal. A chain of popular Italian restaurants that have a vast menu filled with pasta, pizza and more.